Prior to the publication of this joint-venture Psalter, it is unclear exactly what songbooks were in use in the various Reformed denominations. Presumably, many of them had individual collections at their disposal, but the need was growing for a single psalter—a valuable contribution to the interdenominational unity of the churches. 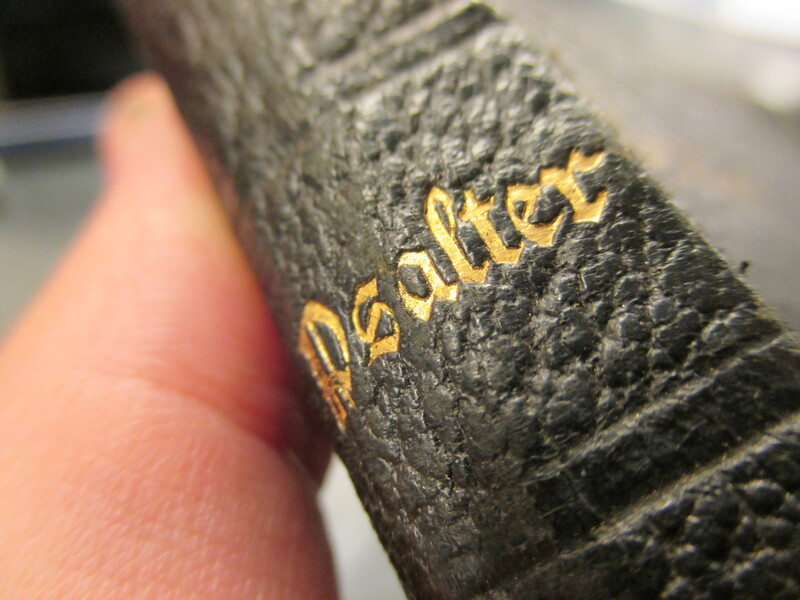 An earlier psalter was published in 1887, which laid the groundwork for the 1912 Psalter. Still, a solid “modern” source of psalm settings was urgently needed. It was in 1893 that the United Presbyterian Church first appointed a committee to propose the creation of a new psalter to the various denominations with which it had ecumenical relations. The work commenced, continuing slowly but steadily over the next twelve years. The preface reports, “The Committee of the United Presbyterian Church, increased and definitely instructed by the General Assembly of 1905, set itself very earnestly to its duty, proposing practically a new metrical translation of the Psalms.” In 1910, the completed collection of songs was officially adopted as “The Book of Praise of the United Presbyterian Church of North America.” But the work of the committee was not yet done; an complete psalter still needed to be compiled and prepared for publication. The finished product was eventually published at the end of 1912. In the preface of the Psalter, the publication committee offers these helpful notes on the structure of their new collection of psalms. I’ve added some emphasis and clarification where necessary. In this new manual of praise the Psalms are divided into four hundred and thirteen sections. By such partitioning many passages of peculiar [i. e., particular] interest which otherwise would be unsung are brought under observation. In every instance the Psalm numeral and the meter signature are printed prominently. Instead of numbering the stanzas of a Psalm consecutively through several sections, the stanzas are counted over again in each, and the continuous order is indicated in brackets below the music. Supplementing the entire Psalm, there is an occasional selection of stanzas that frame up into a good unity. Some of these selections belong to the text of the Version; others have been drafted by the Editorial Committee. [I take this to refer to the occasional extra-biblical content added to these settings.] A few choruses [i. e., refrains], nine in all, are employed. The headings on every page embody the keynote or leading strain of the several sections, and are designed to contribute meaning to the service of song. In the search for tunes the Committee has made an exhaustive study of the best collections of congregational music in America and Great Britain. The tests constantly applied were harmony with the lofty sentiment and spiritual utterance of the Psalms, genuinely musical quality, promise of permanence, and popular adaptation. Many of the old Psalm tunes retain their place, not because of any prescriptive right, but by reason of their intrinsic value. Seventeen tunes appear for the first time, having been written especially for this book. Each tune is set but once. This rule secures a wealth of music, so that this Psalter contains no less than four hundred and thirty-six tunes, inclusive of twenty-three alternates. A fixed association between tune and words is also gained thereby. Commonly marks of expression or speed have been avoided, it being judged better that organists and choirs should themselves seek such a musical interpretation of the Psalms as will be edifying. The Christian church should sing all of the psalms—not just a few praise choruses based on single out-of-context verses. The Psalms should function as well-crafted poetry, and versifications and tunes must be chosen to bring out this poetry most faithfully. The selection of appropriate tunes for each psalm is extremely important; considerations of suitability, quality, familiarity, and longevity must all be taken into account. The pair of psalm and tune must be treated as a unit, for the benefit of the congregations and the integrity of the setting. The principles outlined in this preface were thoroughly applied to the creation of the 1912 Psalter. The result was a songbook that has been widely used, even to this day, by Reformed denominations such as the Free Reformed Churches of North America (FRCNA), the Reformed Presbyterian Church of North America (RPCNA), and the Heritage Reformed Churches (HRC). But the story continues. Twenty years later, the synod of the Christian Reformed Church commissioned a revision of the 1912 Psalter which would include not only contributions from the Genevan Psalter, but for the first time a collection of hymns as well. 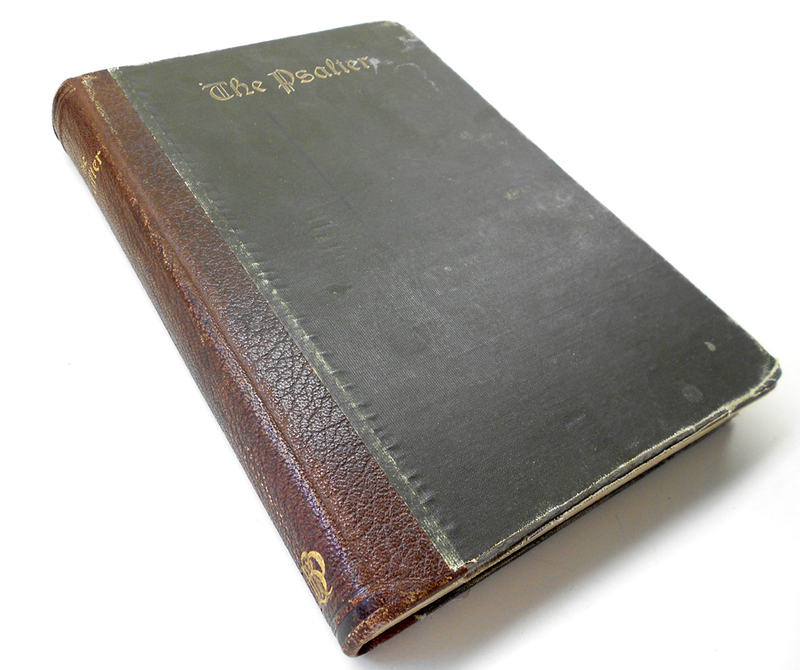 The result was the 1934 Psalter Hymnal. Later editions of the CRC’s songbook, including the familiar 1959/1976 version from which we sing today, were simply revisions of this modified Psalter. Selections from the 1912 songbook are still common even in the CRC’s current (1987) Psalter Hymnal; a few of these psalm-hymns have made it into the hymn section of the proposed URC Psalter Hymnal, and I have no doubt that plenty more will be included among the psalm settings. From this brief historical summary, it is clear that the impact of this book of psalms has continued to this day, through multiple editions, denominations, and generations! In the preface, the editors of the 1912 Psalter made this prescient comment: “In the thought of many this versification of the Divine Hymnal, because of its merit and its undenominational character, is destined to receive broad acceptance and become historic.” So far, time has proven them right. You can view or download an online version of the 1912 Psalter, free and complete, from Google Books. In particular, if you’re interested in this songbook, I’d encourage you to read the rest of the preface I quoted here. While the language of the early 1900’s can be a bit difficult in some spots, the content of the essay is timeless. The Protestant Reformed Church in America has published a database whose goal is to make available the full text and music of the 1912 Psalter. Piano recordings suitable for congregational accompaniment are included. Where can I get a copy of this Psalter please? Reformed Heritage Books publishes a reprint of the Psalter 1912, it includes the Doctrinal Standards, Liturgy, and Church Order–basically from the RCA 1906 “Liturgy and Psalms” , and the Church Order of Dort, the intro is by Joel R. Beeke. It differs from the PRCNA edition, because there are no references to PRCNA. The NRC publishes its own edition. Eerdmans has reprinted these by special arrangement. I have a copy of the original and Calvin College has a copy of the edition that was published before the 1934 CRC Psalter Hymnal. I hope that’s helpful to any who are looking to obtain copies of this great psalter! I came across it a bit ago, and trying to get some information about it, came across your article. Thanks! There is a free app for the 1912 Psalter in the Apple App Store. It has the words, the music and you can listen to each one played on piano.